it's been more than a decade since i first met soliman cruz. even from the beginning, i recognized in this actor soliman the marks of genius- his passionate love for acting, his dedication in honing his craft, and his generous desire to teach and coach aspiring artists. my impressions of him back then continue up to the present: i still perceive him to be a very right-brained type of person, very feelings-oriented, creative, humorous, free-spirited, and eccentric. he flows with whatever circumstance he finds or gets himself in and he pours all of himself into the moment. he treats the world as his playground where he lets his childlikeness cut loose. Boysen Paint commercial entitled "Home Sweet Home"
Boysen Paint commercial entitled "Mother-in-Law"
but like all of us, soliman has within himself demons that taunt him and ghosts that haunt him: he openly talks to friends and media about his unstable marriage; he himself confesses that he struggles with drug use and has even attended narcotics anonymous support groups in the past; and from his own mouth too, he admits that he converses with the "voices" in his head. many people, in fact, were both shocked and saddened to see soliman walking aimlessly along Roxas Boulevard like a greased-up hobo, talking to himself and at times, sleeping by the seawall. a few people reacted quite hastily and angrily when they watched me on tv giving soliman a diagnosis of 'methamphetamine dependence with probable schizophrenia.' for these people, they considered my action to be a breach of confidentiality between doctor and patient. i want to remind them though that there was nothing confidential, nothing secret about his life that i divulged. the staff of jessica soho and of vicky morales brought soliman to me because for them, it was pretty obvious that he was exhibiting strange (aka abnormal) behaviors. in fact, it was soliman himself who requested to have personal consultations with me, bringing along with him the tv crews of jessica soho and vicky morales on separate occasions. - soliman admitted to media his history of shabu use + battling addiction + attendance at narcotics anonymous groups." medical translation: methamphetamine dependence. what people don't know is that soliman and i had discussed beforehand about the content of the interview and thus, soliman, with full awareness, granted me permission to say whatever i said on tv. in fact, it was i who was protective of soliman by constantly reminding the tv crew through text messages not to portray soliman in bad light, lest his career gets ruined. 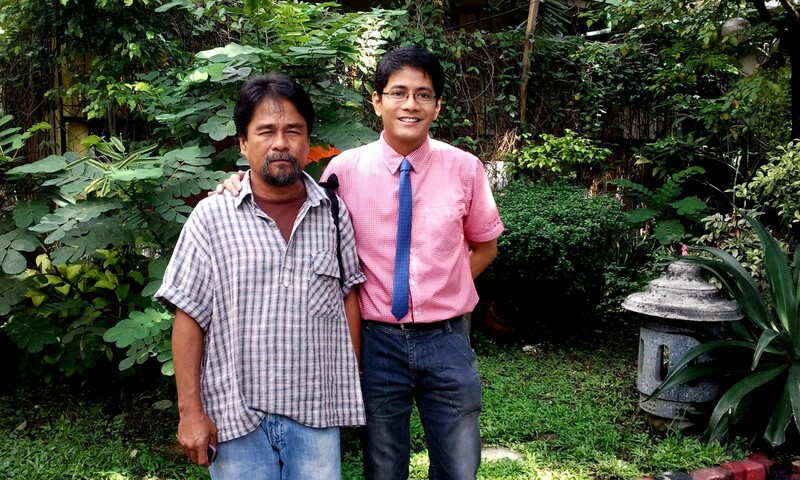 (3) to instill hope in soliman cruz and give him a new lease on life. 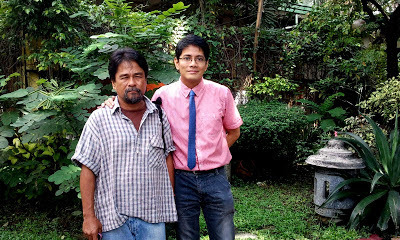 as a last word, i want to say that giving soliman cruz a psychiatric diagnosis does not, in any way, diminish his dignity as a person, his genius as an artist, and his likeability as a friend. and while some people have nothing better to do than create sensationalized controversies about him or me, i would rather let soliman know that if ever and whenever he needs my help, i'll gladly be there to help him like i've always done in the past! Galing nyo sir! saludo ako sa inyo!..